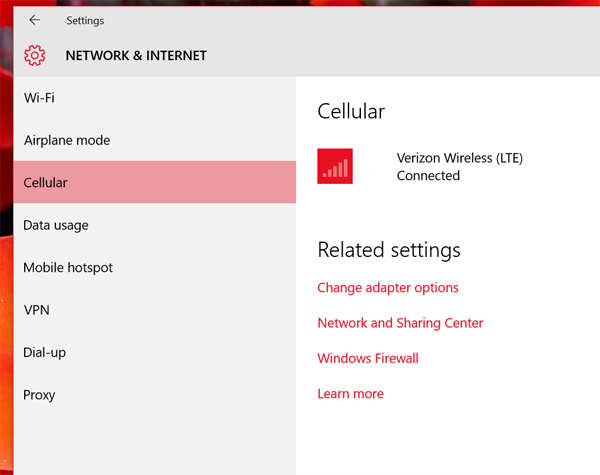 I decided LTE was LTE and that just had to be a way to get an unlocked Surface 3 LTE working on the VZW network. And I followed my instincts. Here are the steps. Don’t skip any. 2. They’ll need to add an unauthorized device to your account/plan (or swap out one that is already there). 3. They need to make a NANO SIM. 4. They need to place this NANO SIM in their demo iPad and activate it. 5. They need to turn WiFi OFF on the demo iPad and wait for the SIM to activate on the network and verify by successfully browsing the web. 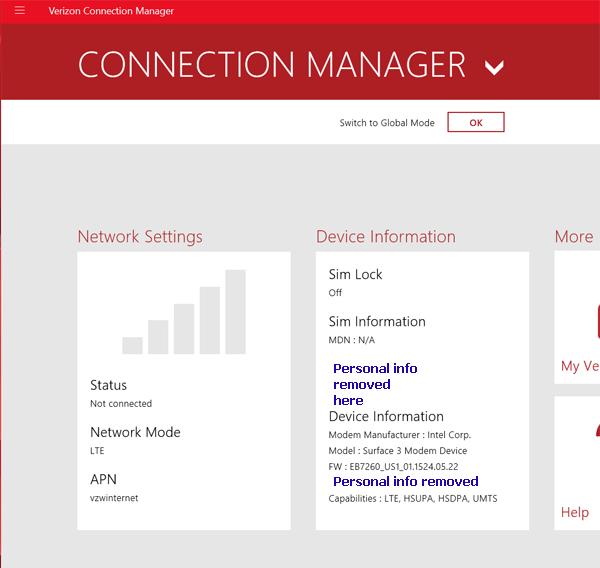 Making the connection to the Internet with the activated SIM is a critical step. Don’t let the VZW tech tell you this is not needed. 6. 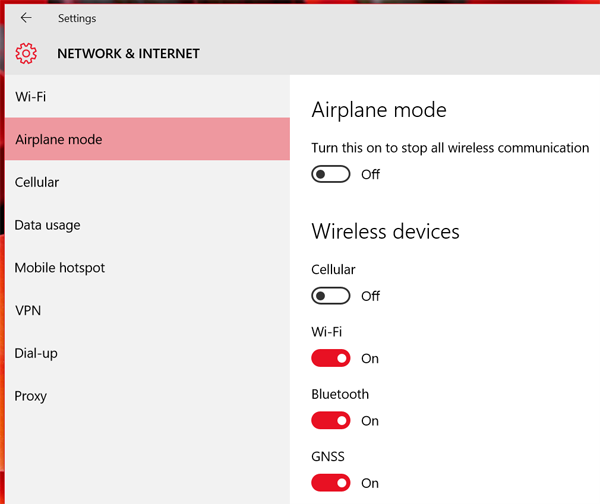 Completely turn off your Surface 3. 7. Put the NANO SIM in the Sim tray and slide into your Surface 3. 8. Turn on the Surface 3. 2. 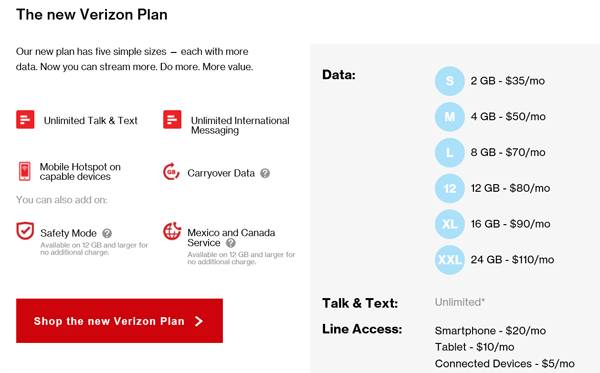 You may need to wait a few minutes, but as long as you or the VZW tech followed the first 5 steps above, you should get connected to Verizon’s LTE network. 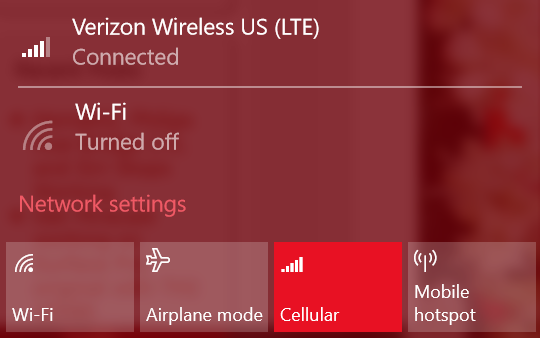 You’ll see an icon in the task tray indicating signal strength and should be able to visually confirm your connection in the Action Center. Network and Internet, Cellular will show Connected as well. 1. 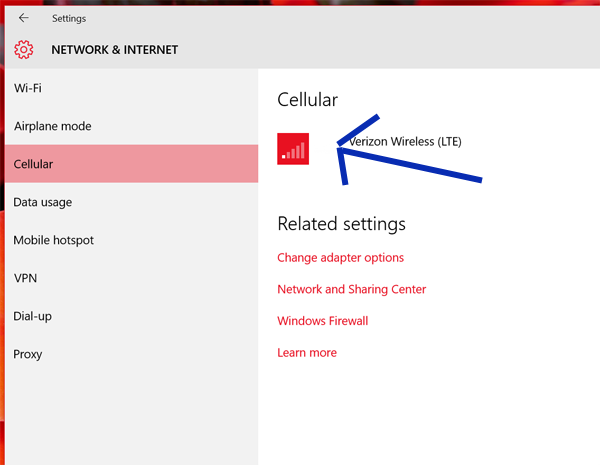 If Network and Internet, Cellular does NOT show Verizon Wireless (LTE), turn on Wi-Fi. 2. Tap the signal strength icon. This should let you access the info online about the SIM and the device. I’ve removed so PII from the screenshot below, but the important pieces are there. 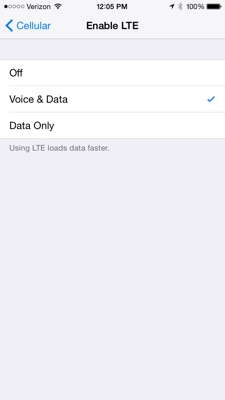 Under Network Mode, insure that it shows LTE and APN is set to vzwinternet. If it isn’t, get Verizon to make a new NANO SIM. 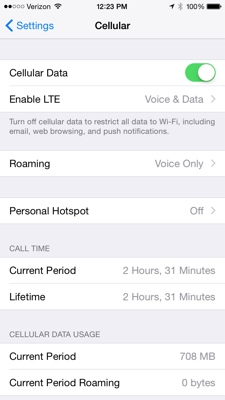 A partially activated SIM might show GSM as the Network Mode. 3. 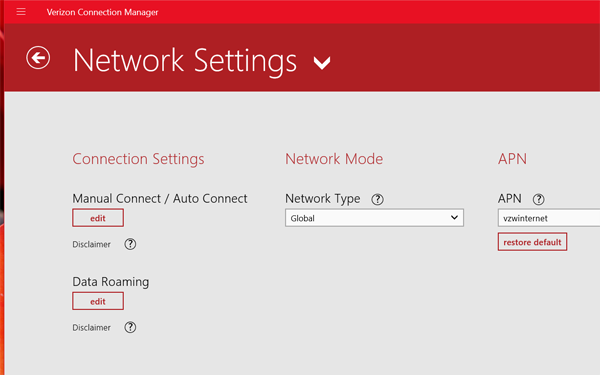 If you tap the Network Settings box above, on a successfully activated and working connection, the Network Type may show as Global. This is OK.
Verizon employees don’t have much experience with this and you can print this article out so they have a reference. Don’t let them tell you they have to send your device IMEI and other info in to a special team to be added to a database of devices. It isn’t needed and won’t help.